The chiropractic spinal adjustment to remove pressure on your nerves and re-balance your body structure can be a very powerful procedure. At the moment that a chiropractor corrects your vertebral subluxation complex, hundreds of bodily functions and activities are affected, the flow of nerve impulses over the spinal cord and spinal nerves is normalized and your body begins to renew and rebuild itself. 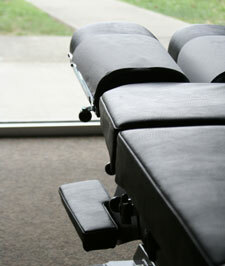 After an adjustment you may experience a feeling of deepening peace and relaxation. This relaxed feeling may last for the rest of the day or the week and may lead to deep, refreshing sleep. Others have at times felt a warm feeling flowing to various parts of their bodies that’s very soothing. Some feel very energetic and do all their chores or business that day with a light, happy feeling. Others may find that their symptoms have begun to disappear, that the problems that they came to the chiropractor for have begun to lessen after the first visit. And, there are some people who feel no difference after an adjustment. That does not necessarily mean that they are not benefiting from their adjustments, it just means that they’re not feeling any external reaction. Sometimes nerves that were impinged or compressed for years are now “coming back to life” or healing and are becoming sensitive again. Old injuries that haven’t healed completely may be reawakened in order for more complete healing to begin. Most fascinating, memories and feelings associated with the original injury may also come to the surface. “When the original energy is discovered, the repressed emotional components of the somatic injury frequently and concurrently release.” This phenomenon is known in chiropractic as “retracing” and may be a necessary and desirable part of your healing. Nerves that begin to send nerve impulses or ‘life energy’ may send a burst of healing energy through the body again and this may give you an experience of being euphoric or ‘high.’ This may also occur as you experience a sudden release from long- standing stress fixations in your body. Some people are in such good general health that they may feel no different, while others may feel no different for the opposite reason-they are so ill that they have lost sensitivity to their body. For some people however it is advisable to follow the advice below to reduce discomfort levels. ICE: I can not emphasize this enough. It brings down the inflammation and therefore reduces the discomfort levels. Wrap the ice in a tea towel. Apply for 10 minutes, take off for one hour, and reapply up to 3 times. WATER: Drink plenty of water, especially after a treatment, at least 4 cups today. DIET: Reduce meat intake as this promotes inflammation. Increase fresh fish, fruit and vegetables and take a vitamin C supplement, as each of these are anti-inflammatory. EXERCISE: The evening after your first treatment, go for a couple of short walks, up to 20 minutes long, and avoid any heavy lifting. However, with all the interest in what is consciously perceived, please remember that the true benefits of the adjustment are usually found below the level of consciousness. It is when the nerve communication to the heart, lungs, joints, sexual organs, skin, eyes, ears and the brain itself are improved that the true benefits of chiropractic are experienced. The true benefits of chiropractic care are the preventive benefits: better night’s sleep, more energy and better nerve system function.